Study in Australia where The University of Adelaide offers scholarships to undergraduate and postgraduate students from overseas. Study in Australia at the University of Adelaide where these scholarships, in addition to many others funded by industry and non-profit organisations, are available to potential and currently enrolled students. 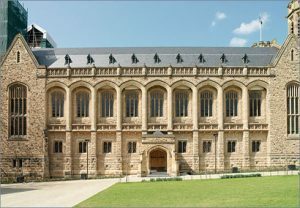 The University of Adelaide offers scholarships for students undertaking postgraduate research programs. If you’re interested in finding out more, visit Postgraduate Research Scholarships. The University of Adelaide offers a scholarship scheme for international students who wish to undertake undergraduate and postgraduate study or the study abroad program. If you’re interested in finding out more, visit International Students Scholarships. Here’s just a few of the Scholarships available at The University of Adelaide.